This is a beautiful book. I haven’t seen the movie yet with Evan Rachel Wood and Ellen Page, but I know I’ll have to, because this one is full of Win, folks. Into the Forest is the story of two teenaged sisters, Nell and Eva, who live in a house with their parents on a large plot of land deep in the redwood forests of California. They are several miles from their nearest neighbor, and 30 miles from the closest town. The sisters live an idyllic, sheltered existence–both are home schooled and allowed to explore the forest as they please. Eva practices ballet dancing, while Nell retreats into a world of books, hoping to get into Harvard. Eventually, things begin to change. The power goes out, along with family’s phone and all other methods of communication. Gas and food become scarce. Stores and banks close. Mail delivery stops. People in town begin dying of illnesses, and antibiotics are ineffective. There are rumors of war and riots in the larger cities, and rumors, rumors of danger everywhere. The exact reason for society’s collapse is never completely explained, but the story arc of what’s happening around this family is certainly compelling, as I found myself over and over thinking: wow, this really could happen. Although we’re told these events are taking place in a ‘not so distant future,’ I couldn’t shake the feeling like all of this could happen tomorrow, and all it would take is a large-scale power grid collapse. It’s the perfect post-apocalyptic scenario, but with a non post-apocalyptic feel. Now the nerd in me would have enjoyed a little more info about the means to the world’s end, but this family was already isolated before all the bad stuff happened anyway. With this, you skip a lot of the post-apocalyptic hubbub and get more of a family drama, along with the brilliantly complicated relationship of these two sisters. Overall, I love how lyrical this book was. 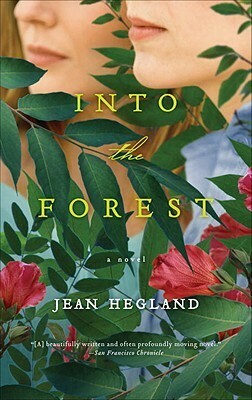 I never lost the imagery of a lush, green forest with huge trees and two girls going at it alone. The story is told by Nell through a journal and there are no chapter breaks, but I didn’t care. I wasn’t bothered by the open ending either. There was one scene that was kinda icky, but I’ll let it go for now. Hopefully it won’t be in the movie. Hopefully.